So you're the type of girl who love jeans? 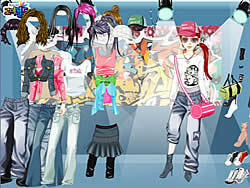 Well here's a dress up game that fits your lifestyle. Have fun!